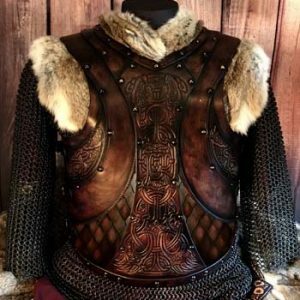 Introducing the NEW Sigrun Armour, designed by Alex Agricola the founder of Black Raven Armoury, with original Norse Art by our very own Vitor Gonzalez in either Dragon or Wolf designs and built by one of our expert armour smiths. This design really has come as a result of years of feedback? So often woman?s armour being described impractical by the combatants out there or too ?bra like? by people in general, not to mention the countless comments on ?never the right size or shape? and so was born in my head, the possibility of such an armour?. 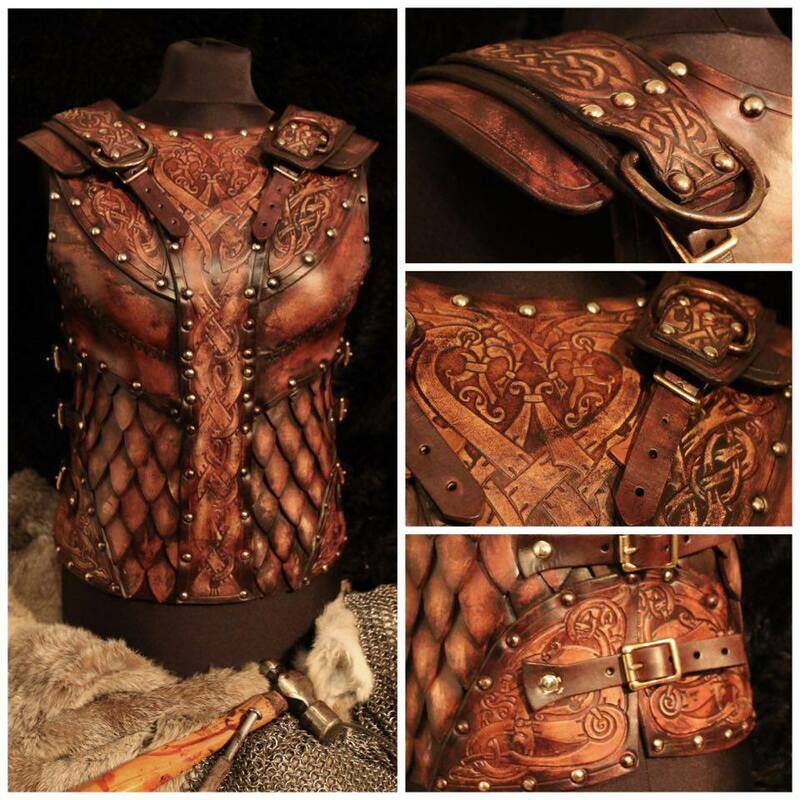 Designed by Black Raven Armoury founder Alex Agricola the Sigrun leather Body Chest Piece Breast plate is the core of? the Sigrun range. It comes with striking original Norse Art by the talented artist Vitor Gonzalez and was conceived to tackle the eons old question ‘what does a lady wear to battle?? 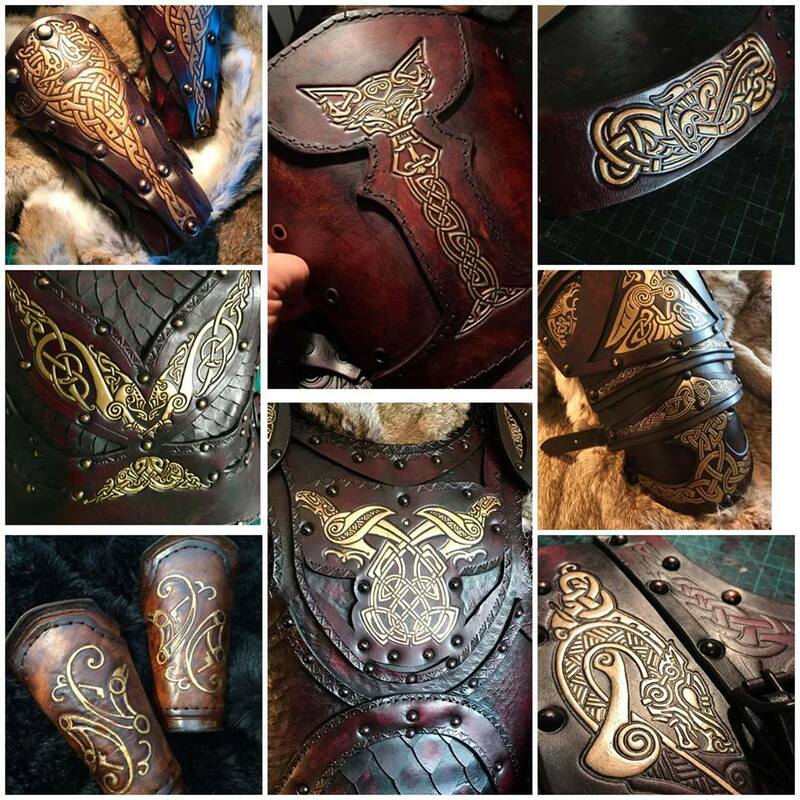 When designing the Sigrun Leather Armoury Alex wanted to? 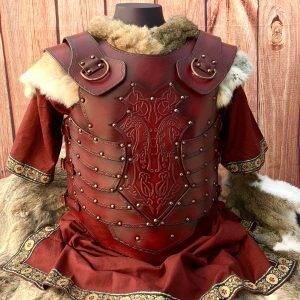 offer shield maidens and warrior queens something a little more practical than a chain mail bikini. Too often words like impractical, overtly sexual and uncomfortable are used to describe female armour. The Sigrun female Leather body/breast plate/ chest-piece is an ideal leather armour for women and offers both elegance and protection. The Sigrun, body is ideal? 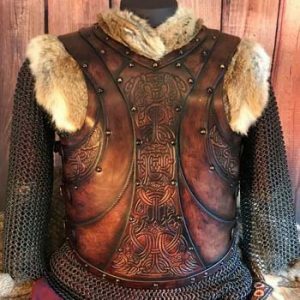 as a standalone armour or can be combined with the matching greaves and vambraces for a regal look, or with any of our our other leg and arm guards to? create a more unique style. The Sigrun body is a combination of formed breast sections that create a practical shape suitable for combat comfort. Over 100 individual front and rear scales are combined to create a fully functional armour which also allows the wearer good freedom of movement. The scales are all made using overlapping suede-backed 3.2mm veg. 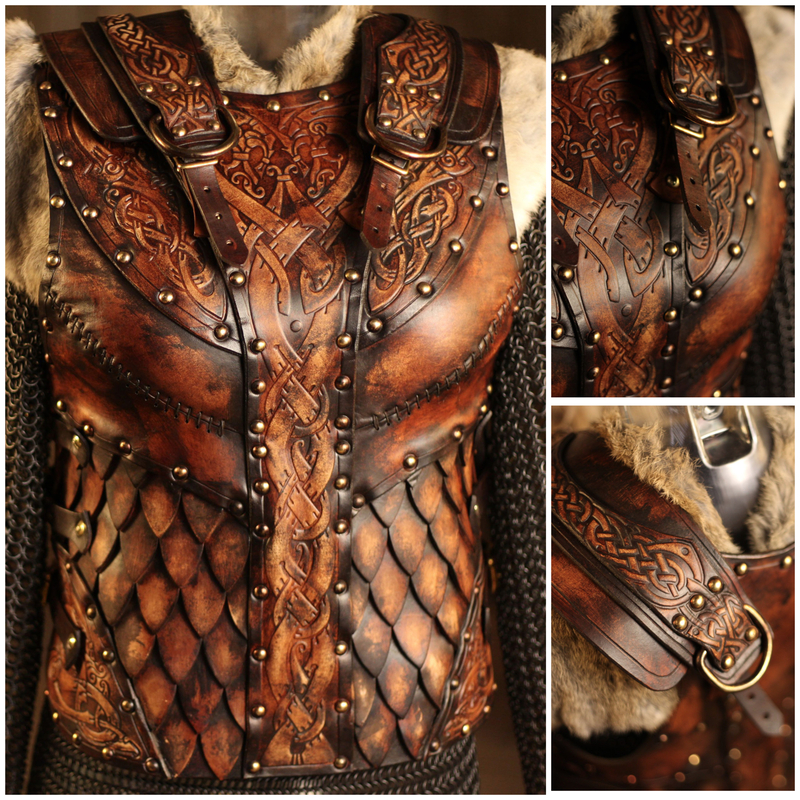 This strong feminine armour is adjustable at the front, sides & rear shoulders. ?I fist saw her at court in Baron Heinrich von Lauffer?s estate. She wore the armour of a warrior queen. I?d never seen a lady so regal who wasn?t a queen? well, she wasn?t a queen then? ?